With summer in full swing, it seemed a good time to do a short series of posts regarding sun safety. As the sun continues to get stronger we are all reminded about protecting our skin....usually just after the first time we are out a little longer than we planned and come home pink and a bit over toasted. With all of the options out on the market it can be hard to figure out what the safest but most protective products are. 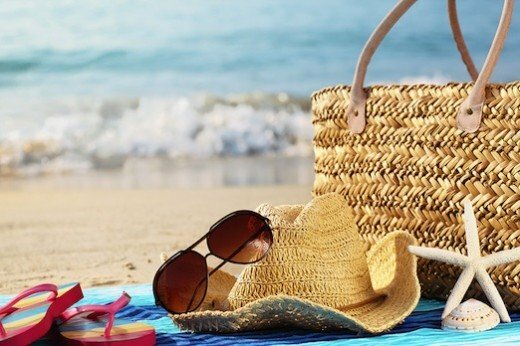 The Environmental Working Group (EWG) has an excellent guide posted on their website which goes through the basics of sunscreens (what ingredients are important, which to avoid, etc) as well as providing lists of the good and bad options out on the market. You can even search for your favorite brand to find out if it falls in the good, bad or ugly categories. Apply at least 30 minutes before heading into the sun and be sure to reapply after swimming, sweating or every two hours. Of course, staying covered up and in the shade is the best protection but for most of us, that isn't always practical or possible. So, be sun smart and enjoy the summer!